From its terrace overlooking the Vagney valley, you will sleep in a little log refuge. 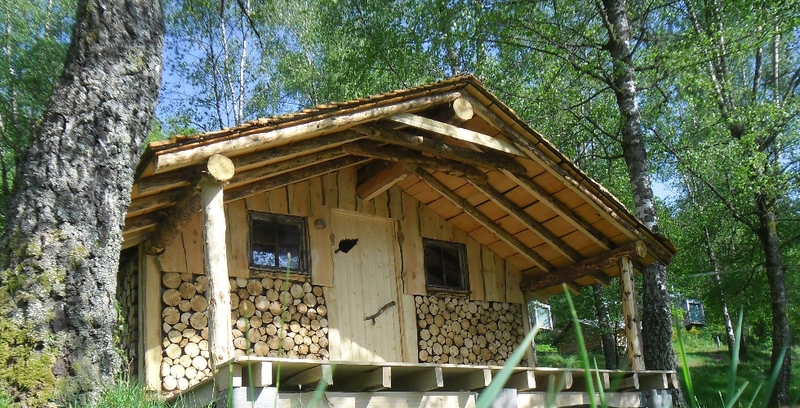 This hut gives a natural and calm atmosphere, thanks to all these color mixes of wood. The fencing reeds in straw and bamboo emphasize the Zen attitude of this hut inviting the calm. You have a fridge at your disposal as well as a hot plate and dishes. The log beds have beautiful bedding and are composed of four bunk beds, two single beds and a double bed.